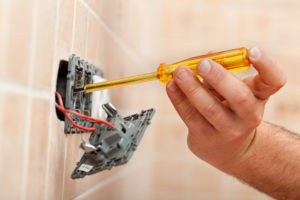 Whether the wiring at your home or business is outdated, an electrical panel has failed, or you need to have custom lighting installed, the experienced electricians at VMA Electric can provide the service you are looking for. We’ve been a trusted choice among residential and commercial clients in the Hudson, Massachusetts, area since 2008, and we’ve developed a reputation as a company that can be relied upon to provide timely service at a fair price. In fact, our commitment to our customers has helped us earn an A+ rating with the Better Business Bureau, which we have maintained for several years. Additionally, we back our work with a one-year guarantee to provide our customers with extra peace of mind about the services we provide. Contact VMA Electric today and let our experienced electricians tend to all of your electrical installation or repair needs.